What Are Dark Social Links? 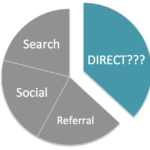 Have you ever checked the direct traffic metric on your Google Analytics and wonder how long weblinks show up there? For instance are people really typing “https://tbamarketing.com/love-loyal-customers-wow-new-ones/” into their browsers directly? Probably not. 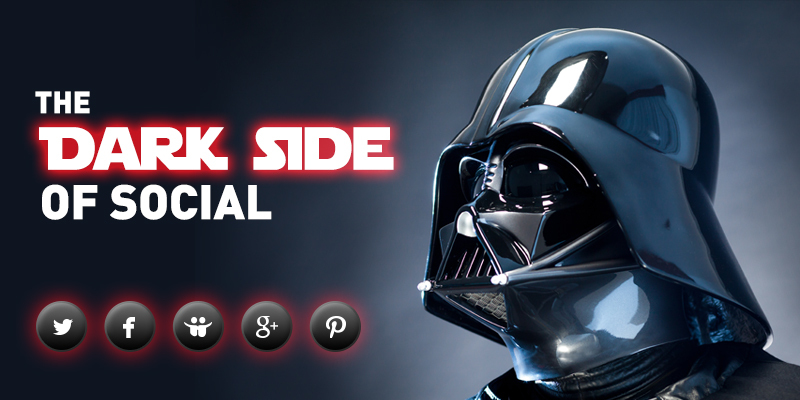 It’s official, your social links have gone to the dark side – just kidding, kind of. Most likely someone shared the link to them through email, text or private message. This type of sharing is called DARK SOCIAL. It’s “dark” because you are not aware of where the traffic really came from – which is important. 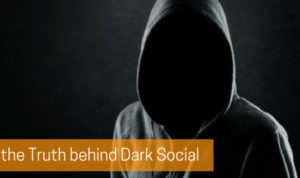 Why Does Dark Social Linking Happen? You may be thinking; “I already offer social sharing options.” However, not everyone wants to post publicly on their Facebook, Google+, Instagram, Pinterest or other social media account that they read, and absolutely loved your latest article about “How To Get Rats Out Of The Attic.” Maybe they are at work and social media is off limits, or perhaps they know a friend who has been having a rat problem, but doesn’t want to blast their business on a public platform. Instead they share your article through text or email, and it’s just that easy; your social links have gone to the dark side. Instead forcing them to copy and paste your links to share your website privately, offer sharing links for text and email as well. Is Dark Social Linking Really A Problem? If your business is in personal finance, food and drink, travel, or executive search, it’s likely that more than 70 percent of you social sharing is done through dark social. 70%!!!! Wouldn’t you like to know where that traffic is coming from and how these new website visitors found your site? 46% of people 55+ share only via dark social vs the 16 – 34 year old age group, where only 19% share via dark links. The majority of click throughs (62%) on dark social shares happen on mobile devices. 38% come from desktops. While you can’t stop dark social sharing completely you can reduce it. Here are a few ways to make dark social work for you. Shorten your URLs. 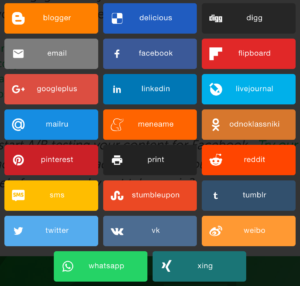 This can save you valuable space on social media sites where character space is prime real estate. Link shortening sites like Goo.gl, Bit.ly and Ow.ly also provide valuable tracking information on your clicked and shared links. Place Your Sharing Links Carefully. Make the sharing buttons on your website easy to find. If visitors don’t readily see your sharing links their first instinct will be to copy and paste the page’s URL for sharing. Use Dark Social Preventative Tools. ShareThis is an amazing tool for preventing your links from going to the dark side. Their sharing buttons allow your visitors to share your content on an extensive variety of platforms and mediums. Yes, it includes all social networks but they also allow shares to email, SMS, whatsapp and other popular messaging applications. No need for your visitors to copy & paste your links to share privately! Social media changes on a regular basis. Keeping up with that change can be overwhelming and time consuming. Let TBA Marketing help you stay up to date and take the worry out of your marketing strategy! Contact us today to get started, 813-501-2932.